Søren Karas has joined ESVAGT after a long career with A.P. Møller-Mærsk. 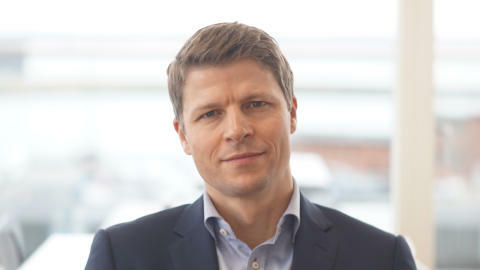 44-year-old Søren Karas will be taking over from Ole Ditlev Nielsen as CCO for ESVAGT. Søren Karas has joined ESVAGT after a long career with A.P. 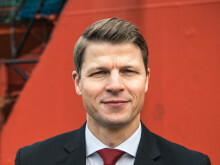 Møller-Mærsk, including a position as Group Strategy Director and later CCO for Maersk Supply Service. One of his tasks now will be to develop ESVAGT using his extensive strategic competences. “ESVAGT is a shipping company that stands for something and has values that permeate the business that we run. We are recognised for and respected as being a safe, innovative, quality supplier – both in the offshore and gas industry and in offshore wind. My task will include helping to make our competences and value more visible to our customers and prove that we what deliver is better than what our competition can offer,” says Søren Karas. “Despite its enormous growth, ESVAGT has managed to hold on to its pioneering spirit and entrepreneurial drive that built the shipping company. The move into offshore wind, for example, came naturally because innovation, development and the ability to see opportunities are built into the company DNA. These are strong values that will act as a compass to guide us through the development ahead of us. The innovation we need will be based on the quality product that we are known for,” he says. “Our track record, history and brand in oil and gas are second to none. We have competences in safety that are crucial for our customers, and of which we can be proud. This is a uniquely strong position that we need to maintain, develop and use as a springboard for new opportunities,” he says. “ESVAGT has injected the offshore wind energy branch with revolutionary new concepts. We need to further develop the close innovative cooperation we have with our customers and partners. We have already seen that our performance in offshore wind concepts exceed both ours and our customers’ expectations. But the competition is now stiffer and we need to continue to develop ESVAGT, increase efficiency and the way in which we work for the good of our customers, for us and to realise ESVAGT’s potential for further growth,” says Søren Karas. Ole Ditlev Nielsen will continue in ESVAGT as Business Development Manager, identifying and developing new opportunities across our markets and helping to drive the innovation of ESVAGT’s service and technical solutions. He will also take an active role in customer relations and oversee themes related to the ESVAGT standard. These areas are essential for the journey that ESVAGT needs to embark on, and in this important role he will report to Søren Karas. “There is so much knowledge within ESVAGT. There are people here who will forget more about ESVAGT than I even dare hope to learn. One of my most important tasks is to ensure that this insight is combined with new impulses so that we can deliver ESVAGT’s full potential together.”, says Søren Karas. ESVAGT will benefit from freed resources and additional competences when Søren Karas takes over from Ole Ditlev Nielsen as CCO. “Bringing Søren Karas in as new CCO has injected important strategic competences that will strengthen our analytical approach to markets and existing opportunities. At the same time, we have Ole Ditlev Nielsen who can maintain and build upon the relations that are so important to us and to developing our business. This allows us to combine our history, innovative approach and the ESVAGT standard with an important overview on a strategic level. This is a definite improvement to our commercial set up,” says Søren Nørgaard Thomsen.